EE has created a stylist bot, Shudu, using artificial intelligence as part of the activation for its long-running sponsorship of the British Academy Film Awards. The "digital supermodel" will capture the outfits of A-list attendees from the red carpet using a Google Pixel 3 and share shots with fans through a chatbot. The AI tech of Shudu is able to learn the differences between items of clothing based on cut, shape and fabric patterns. Using this knowledge, it recognises each star’s outfit and then searches thousands of affordable alternatives to help users create a similar look, based on their own preferences. The project was created by Poke. The character of Shudu will appear via holographic technology on the red carpet outside the awards ceremony at the Royal Albert Hall on Sunday 10 February. It will be seen wearing a bespoke "digital gown" designed by Swarovski, the Baftas' official jewellery partner, and will be joined by Baftas red carpet host Laura Whitmore. Pete Jeavons, director of brand marketing at EE, said: "Our award-winning network has always let you do more of what you love in more places. 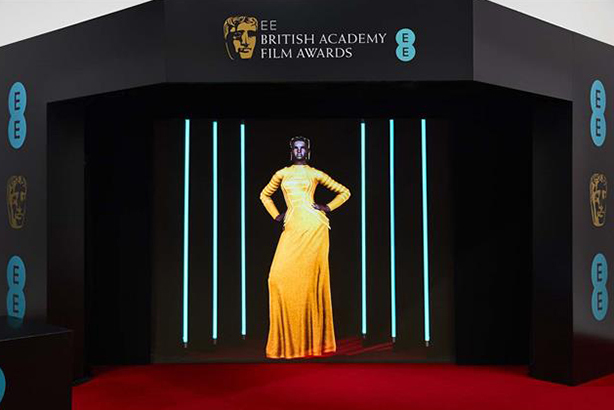 This year, we’ve gone further than ever to challenge what people might think is possible by using 5G and AI to bring digital supermodel Shudu to life on the Bafta red carpet." The rise of AI: what does it mean for PR?